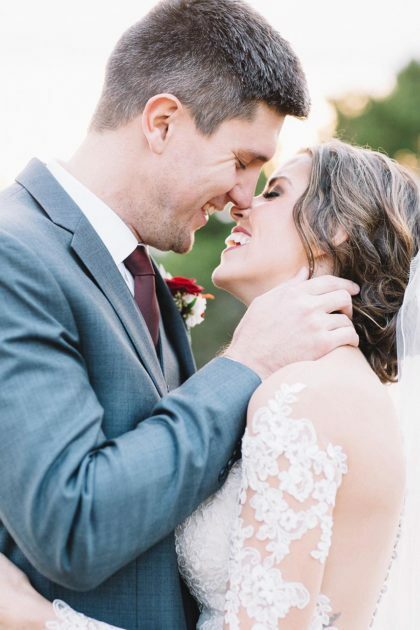 SWEET BEGINNINGS: Rebecca and Taylor had eyes for each other before they even met. 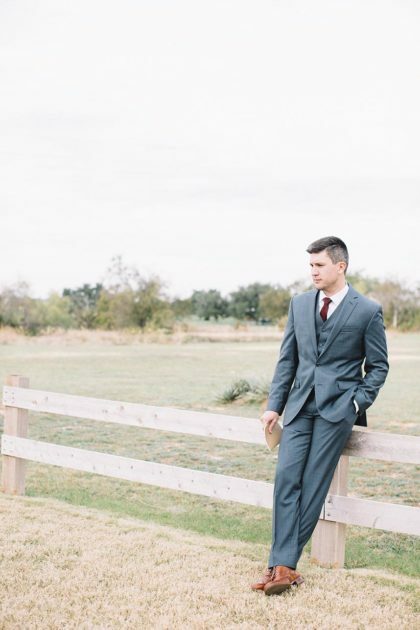 After spending some time quizzing a mutual friend about one another, the two were officially introduced in July 2013 when Taylor asked Rebecca to join him in Fort Worth on a blind lunch date. 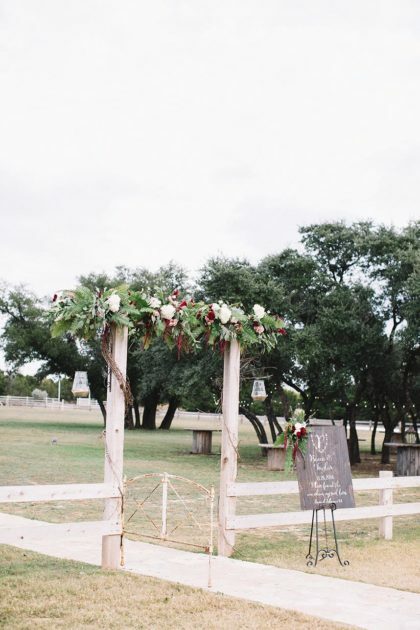 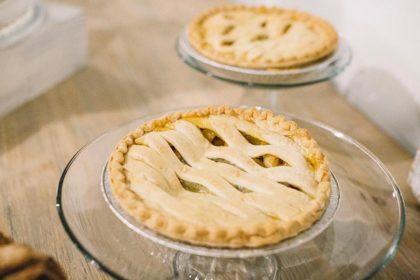 THE SETTING: The couple chose a beautiful farm that sits on the rolling hills of Texas, overlooking the Brazos River Valley, as their wedding venue. 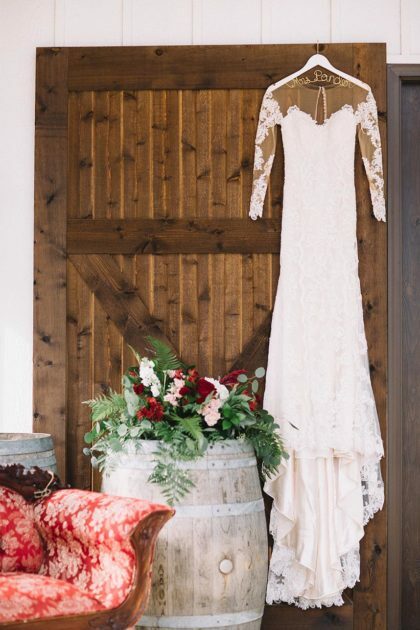 A gorgeous white barn with shiplap-lined walls and stunning chandeliers was exactly what they had envisioned. 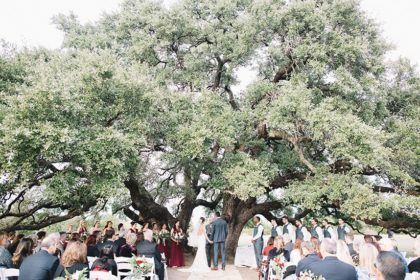 Relating back to their proposal at The Live Oak, Five Oaks Farm made all of Rebecca’s bridal dreams come full circle when she was able to say “I do” standing beneath a beautiful oak tree. 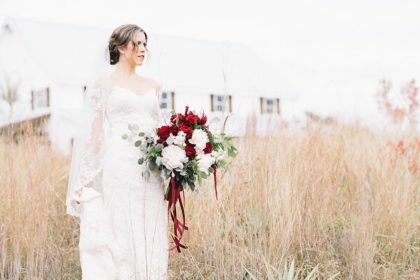 GET HER LOOK: Simple elegance was the look Rebecca so effortlessly displayed on her wedding day as she donned a stunning fit-and-flare lace wedding gown. 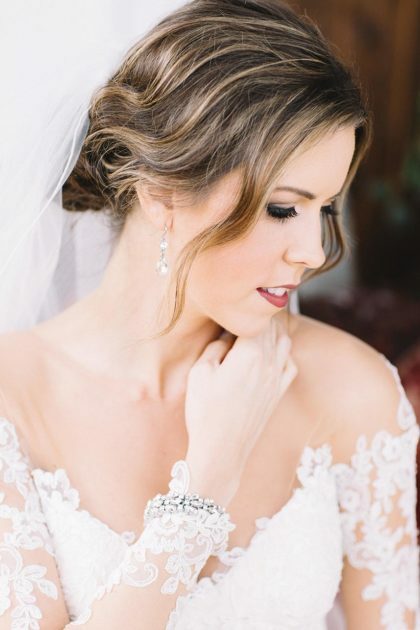 The cappuccino-colored underlay beneath the ivory lace made her gown stand out so beautifully. 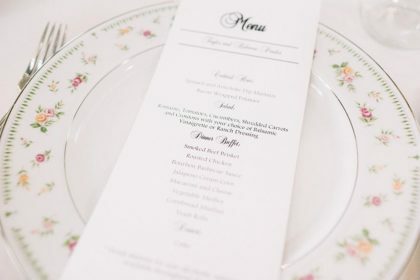 The dress was long sleeved with an illusion neckline and low back that had buttons trailing all the way down. 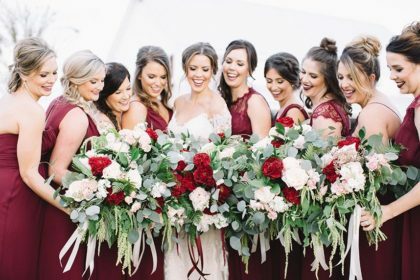 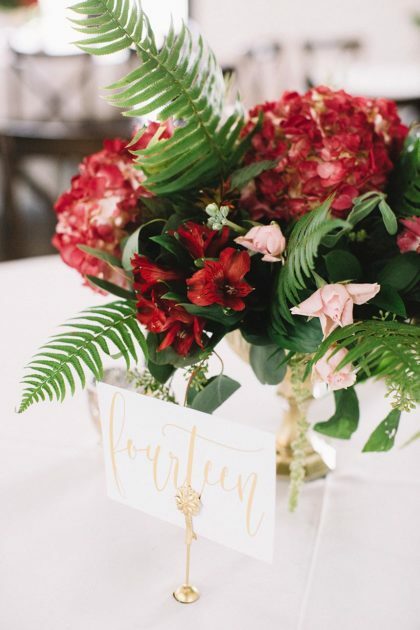 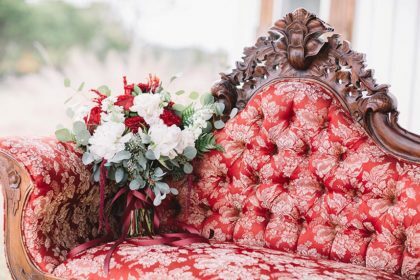 BEAUTIFUL BLOOMS: Rebecca carried a breathtaking bouquet made with Monster red garden roses, white peonies, white stock, burgundy hanging amaranthus, raspberry burgundy feather celosia, sword fern, Israeli ruscus with different pops of eucalyptus. 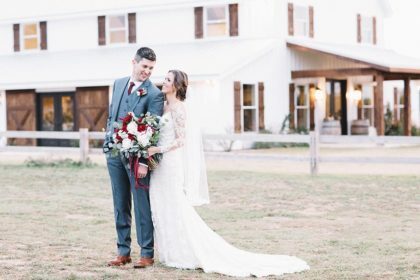 MOST MEMORABLE MOMENT: Rebecca and Taylor both agree that their favorite memory of their wedding day was the moment before the ceremony when the two stood on different sides of a corner of the white barn and held hands while they exchanged their own personal vows. 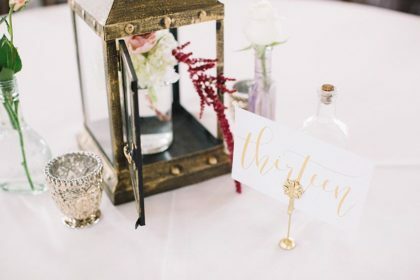 As the soon-to-be husband and wife made their promises to one another, laughs were heard, and tears were shed as they listened to the sound of each other’s voices. 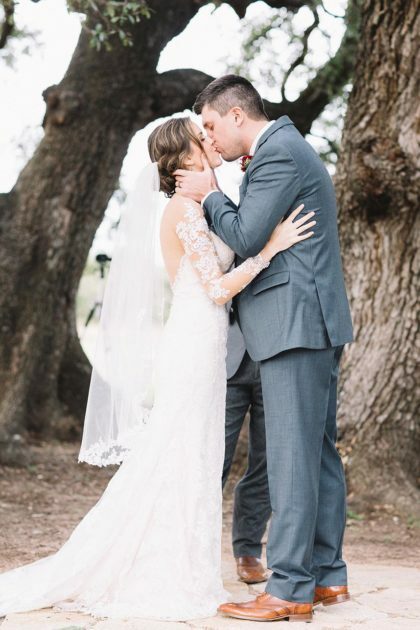 They shared what seemed to be the most perfect moment, all the while not even seeing each other. 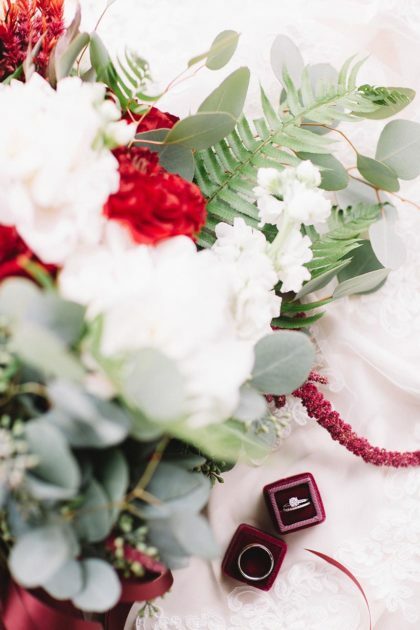 VENDOR LOVE: Cassie Loree Werner of Cassie Loree Photography served as much more than a wedding photographer. 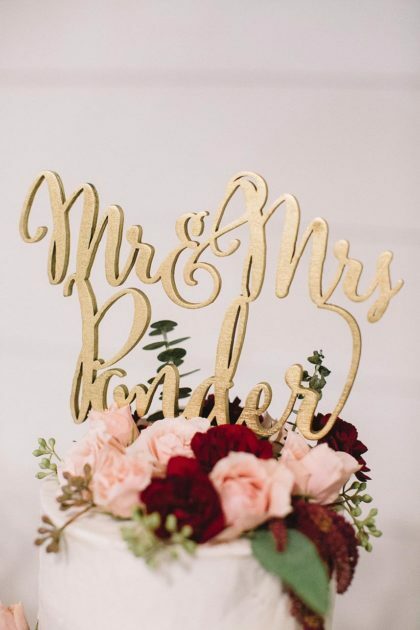 She was there throughout the entire process to help recommend vendors, answer any questions the couple had and take the most breathtaking engagement portraits and wedding day photos. 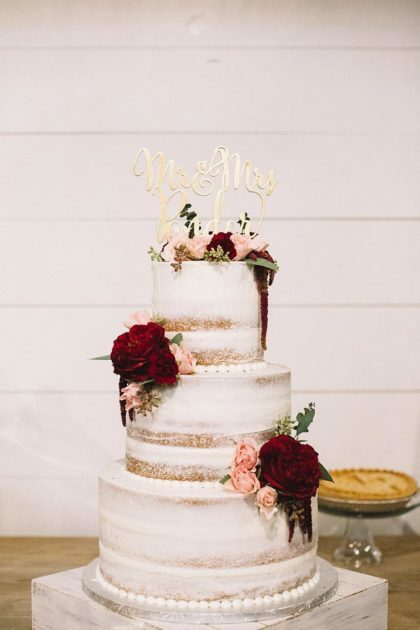 The couple thanks her for her kindness and sweet spirit.